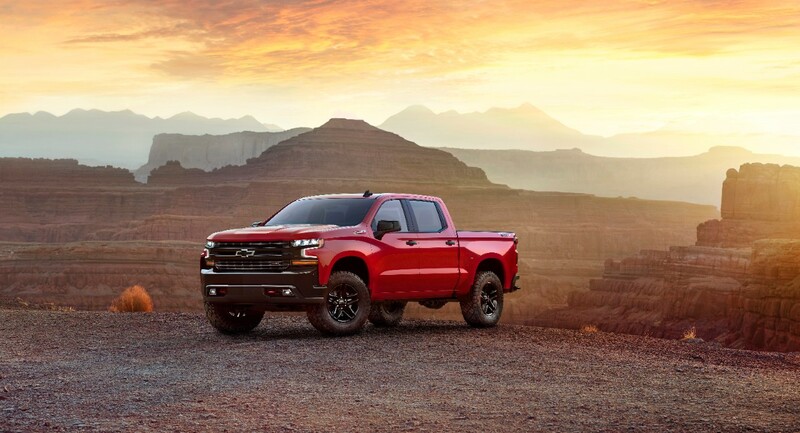 Out of nowhere, Chevrolet has offered a first glimpse at the 2019 Silverado 1500. 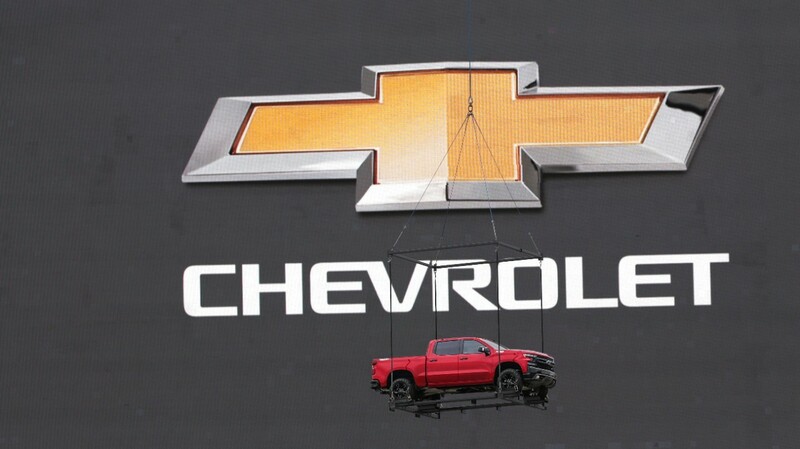 The next-generation Silverado was introduced Saturday at an event touting 100 years of the company producing trucks, the company said in a news release, which included a video showing a helicopter lowering the truck onto a stage at Texas Motor Speedway. 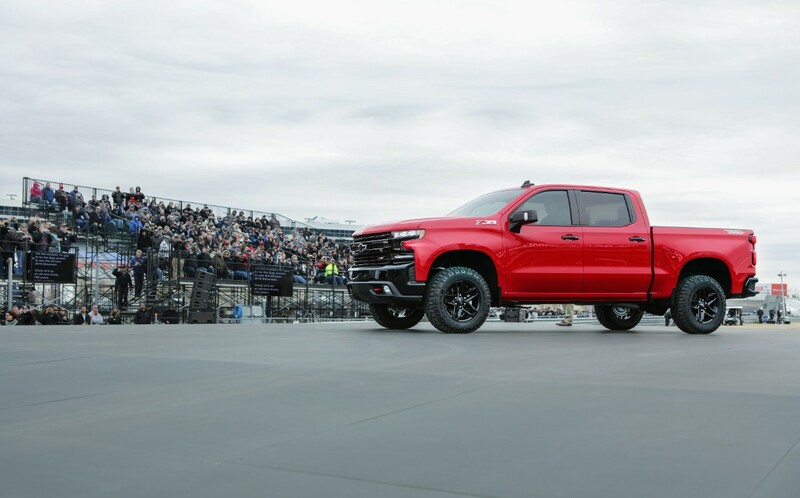 Described as "all new from the ground up," the 2019 is based on Chevrolet's past experience with its truck models, including the "Advance Design" trucks of the 1950s and the C/K series in the following decades, the company said in its statement. 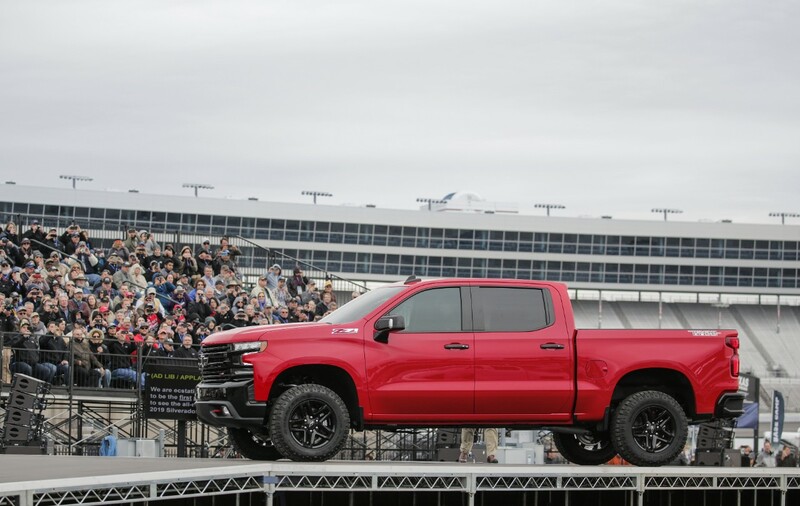 The 2019 Silverado uses a higher-grade alloy in its roll-formed, high-strength-steel bed floor, making its bed more functional at lighter weight, the company said. (So much for those rumors of a carbon-fiber bed.) 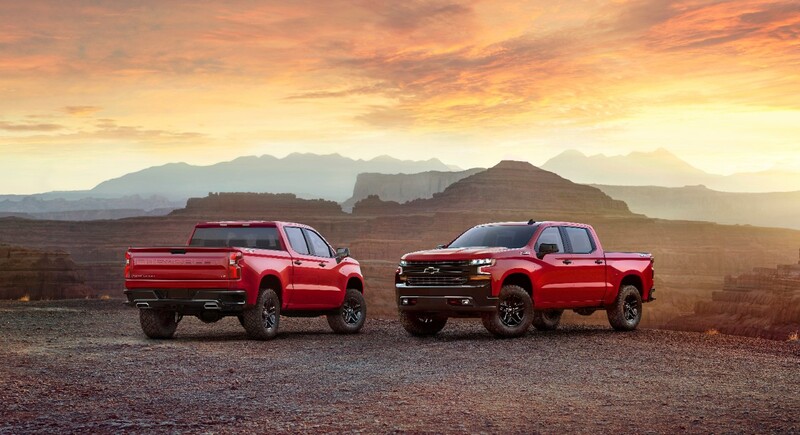 The significant reduction in weight improves the vehicle's performance, Chevy added. 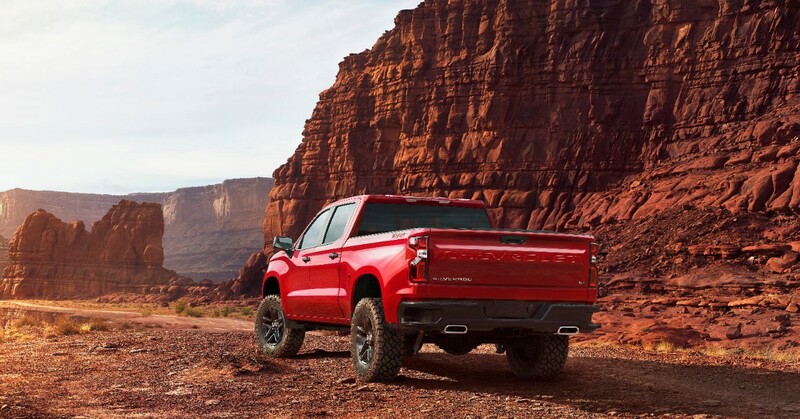 One of eight 2019 Silverado models, the Silverado LT Trailbox combines the off-road equipment of the Z71 package and a two-inch suspension lift. Unlike aftermarket lift kits, the Trailbox suspension is tested and warrantied by Chevrolet. 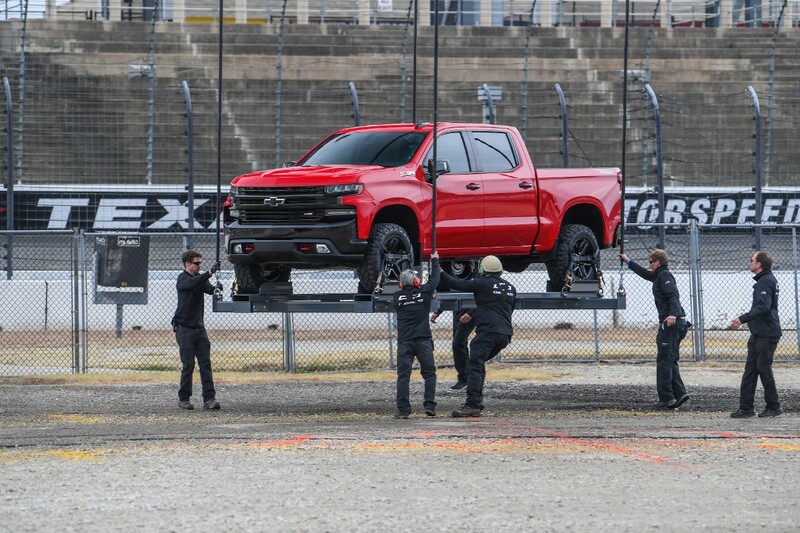 The 2019 Silverado will make its public debut in January at the North American International Auto Show in Detroit, exactly 100 years after the first Chevrolet trucks were delivered to customers. We can't wait to see the rest of the lineup. How Does the Chevy Camaro ZL1 1LE Compare to Santa's Sleigh? The Camaro may have more power, but Santa's magic gives his sleigh some unique advantages.